Unearth the inhibitors to successful account plans and learn the best practices around direct and indirect account planning and how channel marketing programs should align to partner and buyer needs. 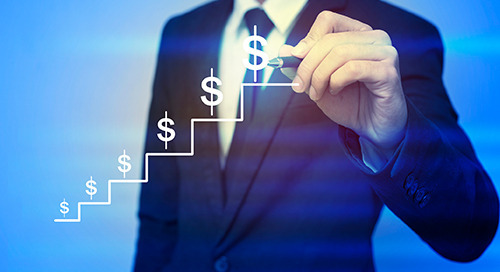 Understand why you should never use caps for sales plans or other at-risk plans. Understand the importance and business impact of fostering the CSO-CMO relationship. Explore Blackbaud's journey to improve sales rep productivity and fill personnel and bandwidth gaps with the help of SiriusDecisions. Discover SessionM's journey to triple digit growth by adopting the right sales organizational structure. In this guide, we share six planning assumptions that identify how CSOs can leverage their current sales investments more effectively and hit their 2019 revenue goals. This e-book provides insight into board members' expectations and best practices for heads of sales.  2018 Global Chief Sales Officer Study: Is Your Sales Team Selling the Way Buyers Want to Buy? Your Revenue Engine: Built for Speed, or About to Break Down? Drive continued, scalable revenue now and well into the future. 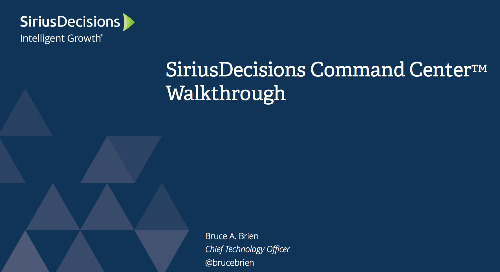 The SiriusDecisions Sales Operating Model helps sales leaders build the sales machine and standards to deliver repeatable, scalable and predictable revenue growth. This model is designed to help sales leaders understand the productivity inputs that have the biggest impact on revenue growth, diagnose their current productivity and prioritize areas of improvement. 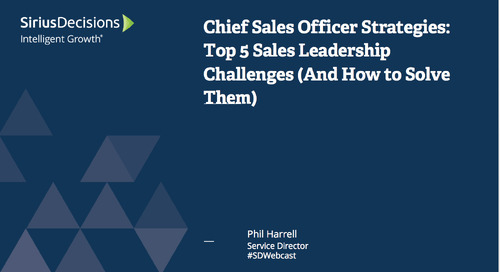 Discover where top sales leaders struggle and how to overcome these challenges to meet their number.